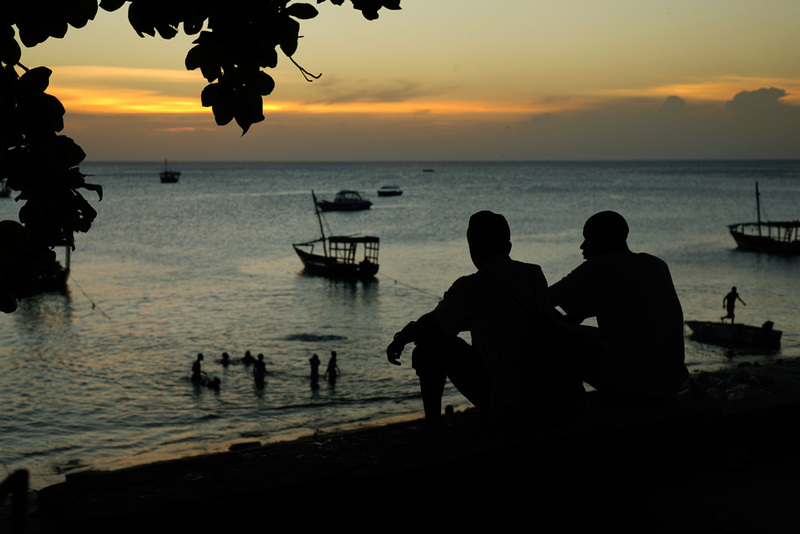 The Boys' Republic: Silhouettes at play off the coast of Stone Town, Zanzibar, as the sun sets on summer's longest day. 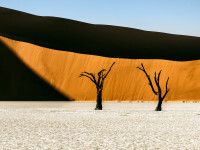 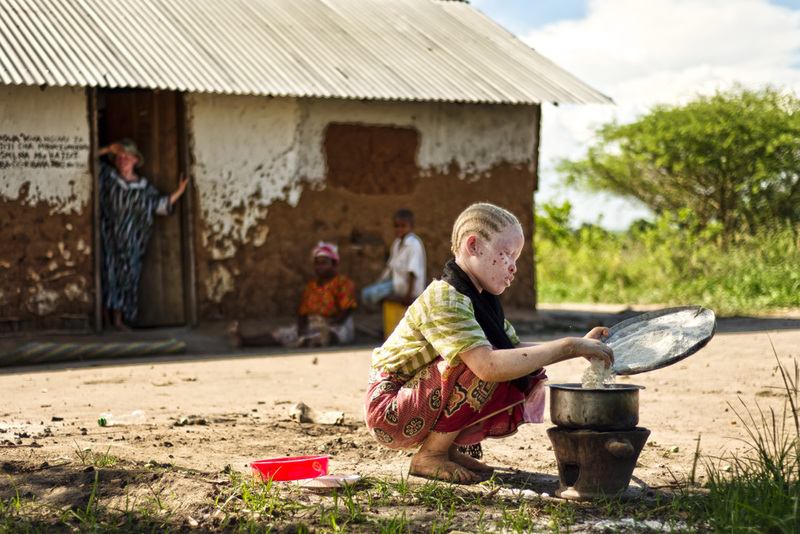 Blond Ivory: An albino woman prepares a lunch of maize porridge for her family. 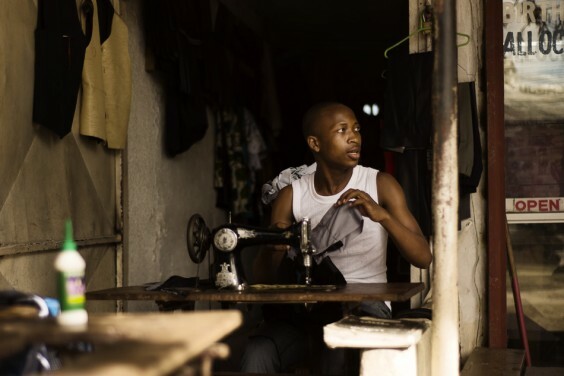 With an estimated 150,000 albinos within its borders, Tanzania has the largest population of the group in Africa. 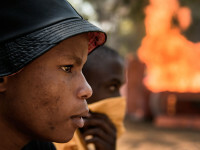 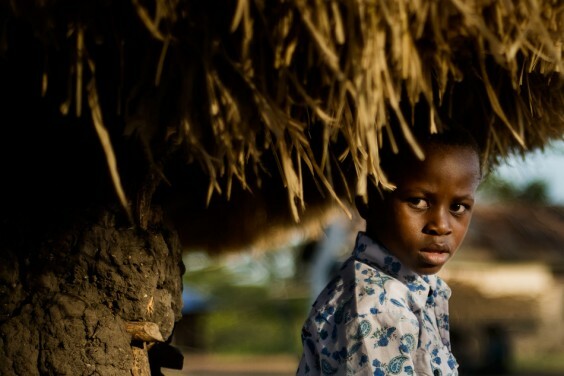 The group faces intense persecution, with dozens killed or maimed in recent years for their body parts in witchcraft-fuelled attacks. 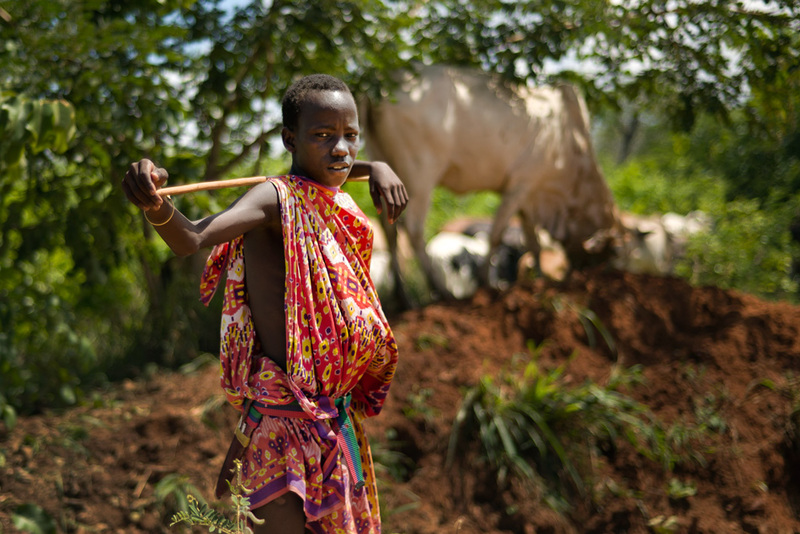 Rural Tradesman: A cow herder in traditional dress near Morogoro, in Tanzania's southern highlands. Urban Craftsman: Textiles in a Dar es Salaam market. 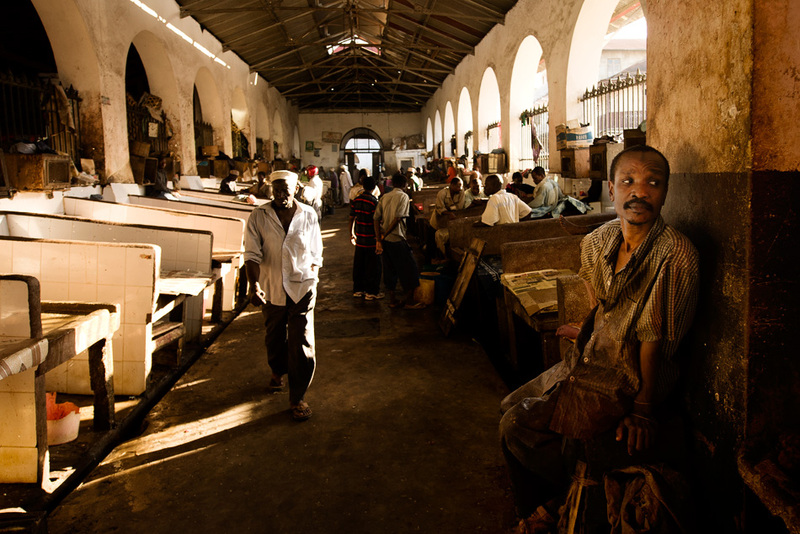 Halal: Shoppers and shopkeepers during a late afternoon lull at a meat market in Zanzibar City, the main city on the island of Zanzibar. 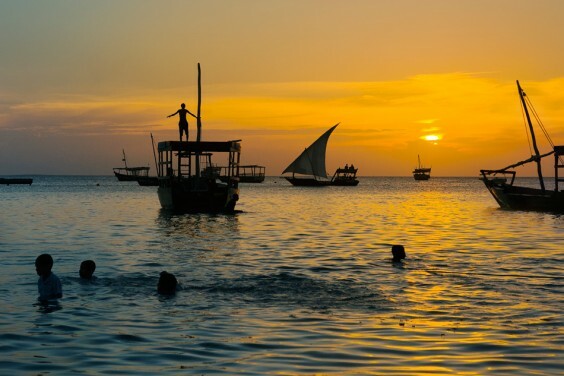 Unlike mainland Tanzania, a predominantly Christian stronghold that had been run as a separate colony under British rule, an overwhelming majority (97% - 99%) of Zanzibar residents identify as Muslim. 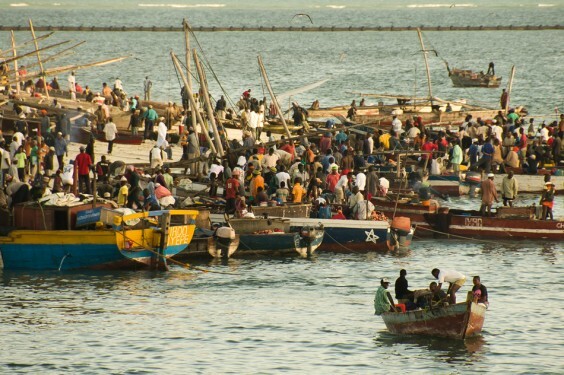 Tangle / Freed: A sunrise knot at the fishermans' docks along the Dar es Salaam waterfront. Brochure Azure: The House of Wonders looks out over Stone Town, Zanzibar. 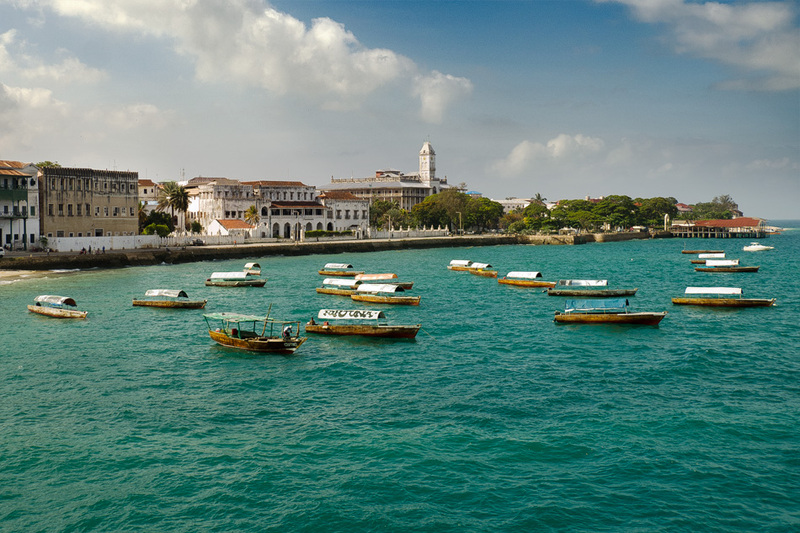 Composed of equal parts European, Moorish, Arab, African and Indian DNA and once the largest city in East Africa, Stone Town has been at different points in its history the centre of the African spice trade, slave trade and, today, the country's tourist trade. 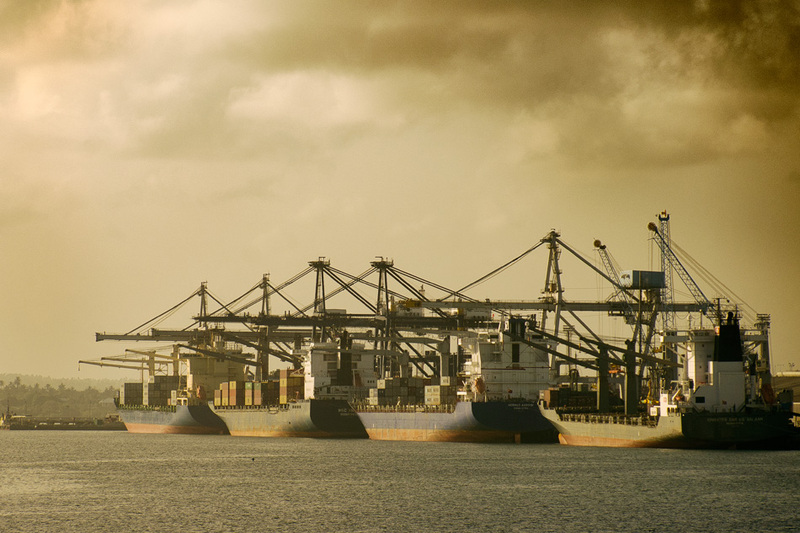 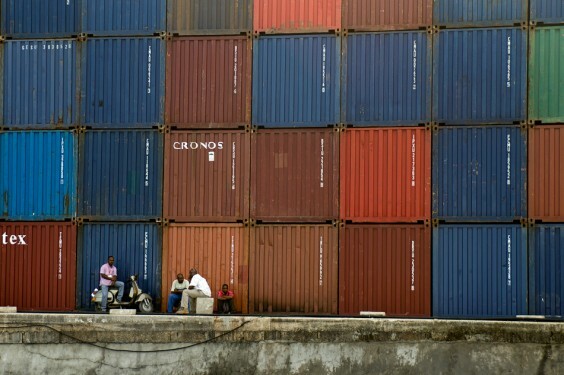 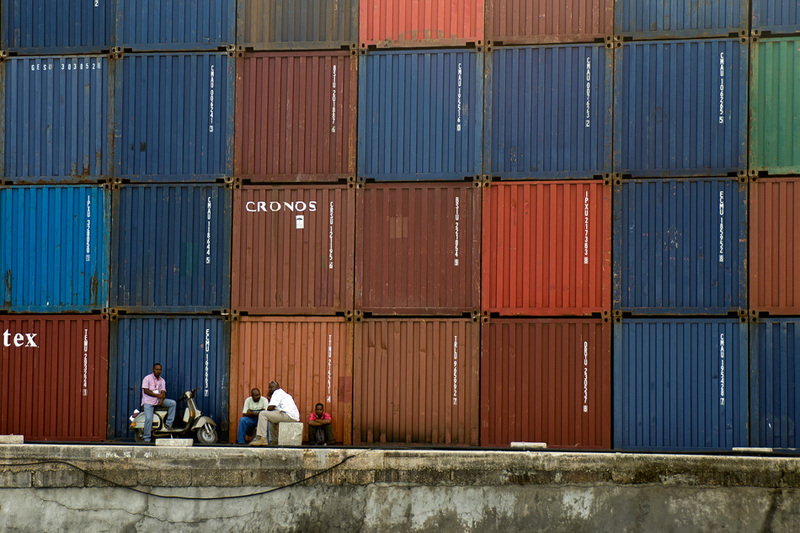 The Fortress Wall: Dock workers gather in the shade cast by a 12 metre wall of shipping containers on a hot day in Stone Town, Zanzibar.